Laureene Kirby, who is responsible for the administration of the CLICO Life in St. Vincent and the Grenadines, has participated in the evolution of CLICO for just under 25 years. Immediately upon graduating from the St. Vincent Grammar School she joined Colonial Life Insurance Company (Trinidad) Limited at Chester Johnâs Agency. Recognizing the potential of the insurance industry and sensing Godâs guidance in pursuing a career in Insurance administration, she dedicated herself to hard work and training, disregarding, during that era, the general suspicion of the public towards the insurance sector. Within a few months Laureene Thom, as she was then, was appointed Administrative Officer in 1981, when CLICO decided to establish a Branch Office in St. Vincent and the Grenadines. Looking back, Kirby is thankful to God for his guidance, and to CLICO for the confidence in her and support she received, from a teenager to present. Kirby also recalls the encouragement received from Lawrence Duprey, current Executive Chairman of CL Financial Limited, during his visits to the young Branch, for her to pursue a career in insurance and to obtain the relevant professional qualifications. Among the memories of those days treasured by Kirby, is having seen the late Cyril Lucius Duprey, Founder of Colonial Life Insurance, alighting from his Mercedes Benz carrying an âancientâ aluminum food carrier in his hand. modern facilities. She lauds the determination of Leroy Parris, Chairman CLICO Holdings Barbados Limited for his determination to ensure that CLICO owns its own building in each of the territories in which it operates. 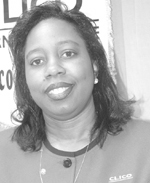 Apart from CLICO, Kirby serves as an executive member of the Insurance Association of St. Vincent and has served as president of the Insurance Institute of St. Vincent and the Grenadines. In addition to leadership service in the Living Water Ministries International, and other para-church organizations, she is a member of the Inner Wheel Club of St. Vincent and the Grenadines and hosts the weekly television programme, âThe Living Waterâ. Kirby is a Fellow of the Life Management Institute (LOMA, Atlanta Georgia), and holds the Associate Insurance Agency Administration, Associate Customer Service designations, and a Diploma in Management from the University of the West Indies. Kirby acknowledges that life at CLICO is a continuous learning and growing process, and along with balancing her responsibilities as wife of Paul Kirby, Manager, St. Vincent Port Authority, and mother of a teenaged daughter and two sons can be very demanding. She attributes all of her successes to God whom she identifies as the âglory and lifter-up of her headâ, and thanks and highly commends the very hard working and dedicated staff with which she has worked over the years. Particularly thanks to the clients who have made our progress possible.